Resistance Privilege Ibiza 2019 returns for its third year for nine weeks of pure techno madness at the world’s biggest super club. 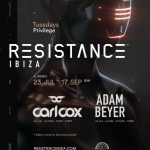 Resistance is renowned for its mammoth musical and theatrical productions and sit well inside the huge proportions of the club. So from Tuesday 23rd July until 17th September Privilege will be the club to be at. This year will see Carl Cox and Adam Beyer returning and each performing 4 nights over the summer, a real treat for techno heads. Adam Beyer will kick things off on the opening party on 23 July 2019, as well as 6 August and 27 August. Coxy will be in to celebrate his birthday on 30 July then return on 20 August and 3 September. Both will be on the decks for the closing party on 17 September. John Digweed and Sasha returning for 5 nights this summer on the 23rd July, 13 August, 27th August, 3rd September and 17th September. Maceo Plex returns to the party with a special takeover in August with Richie Hawtin bringing his PLAYdifferently brand to Resistance in September. As well as the featured residents, the headline artist roster is just as impressive. 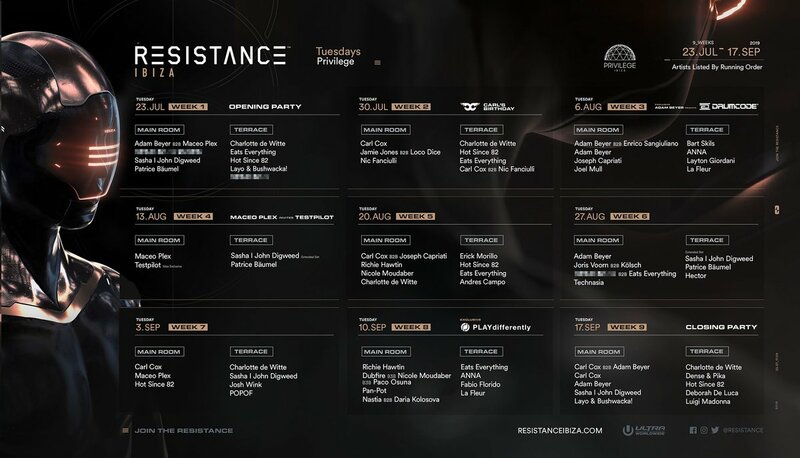 Dubfire, JamieJones, Joris Voorn, Joseph Capriati, Kölsch, Loco Dice, Nic Fanciulli, Nicole Moudaber, Paco Osuna, Pan-Pot and Testpilot have been all been confirmed to be playing Resistance this summer. Added to this Hot Since 82, Eats Everything and Charlotte de Witte will be on the terrace across the season. The weekly line ups are below. Grab your tickets below as this is an event that sells out on a regular basis. 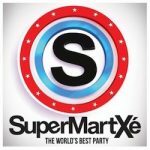 SuperMartXé Privilege returns for 2018 taking over Thursday nights at the worlds biggest venue from the 7th June. At a SuperMartXé night, there is always plenty to look at not least a lot of skin and with the motto 🅔🅥🅞🅛🅤🅣🅘🅞🅝 ⓇⒺⓋⓄⓁⓊⓉⒾⓄⓃ it continues with its most emblematic residence yet on the White Isle. 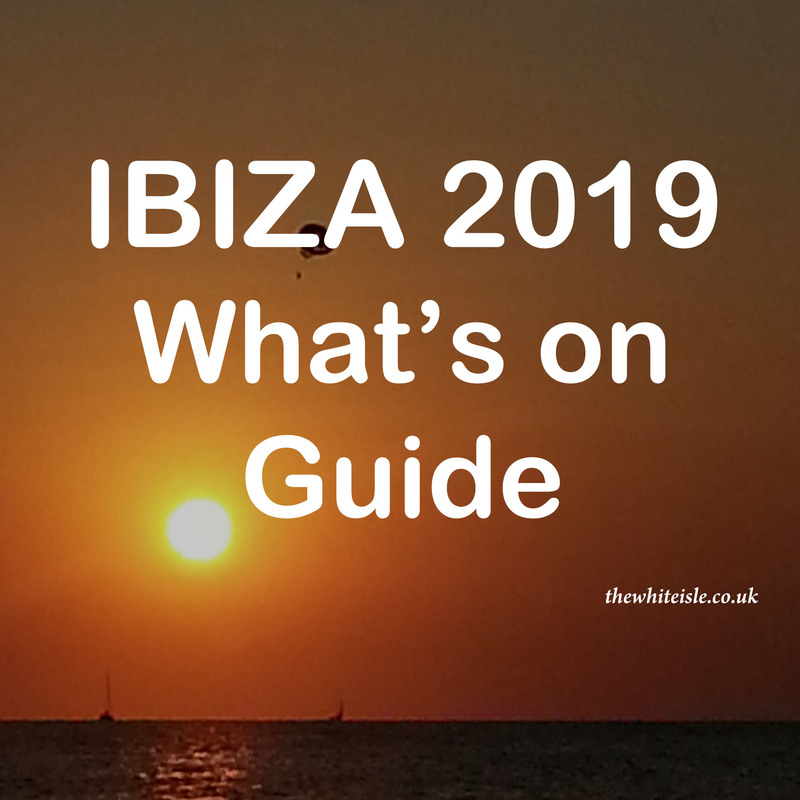 Expect risqué choreography, high energy and terrific visual effects during the amazing live shows on stage, beautiful and crazy fashion shows, celebrity appearances and of course some great Ibiza club tunes. 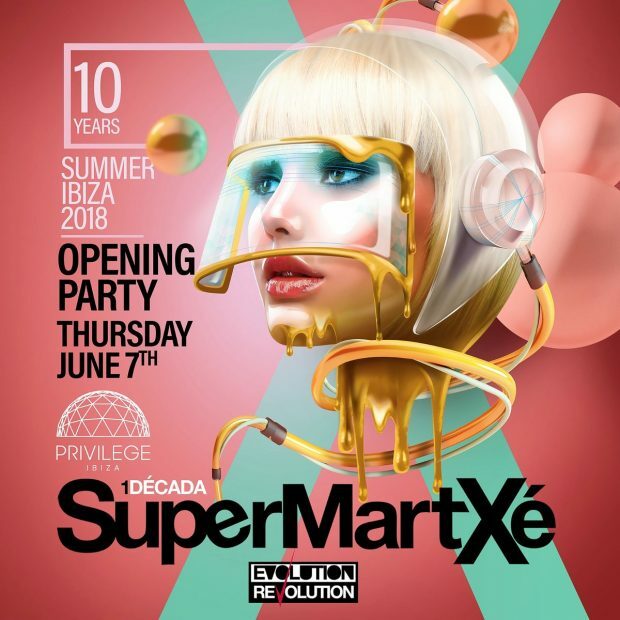 SuperMartXé Privilege 2018 on Thursdays this summer. The Privilege Opening Party has been confirmed for Friday the 25th of May. 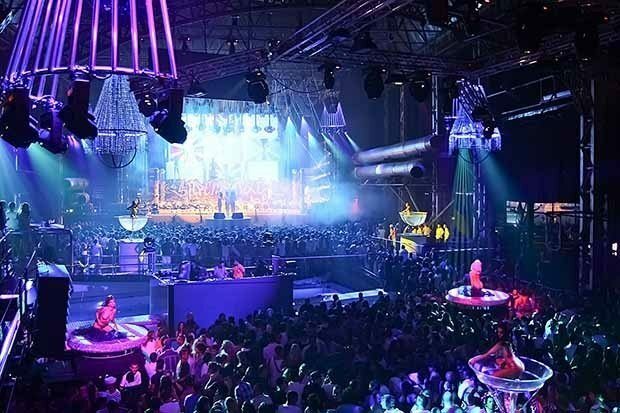 The Ibiza venue, which still holds onto the title as the world´s biggest superclub, is getting ready to storm through what´ll be its 25th season on the White Isle, and it all starts here. The Main Room will feature a highly-anticipated DJ set from Faithless. 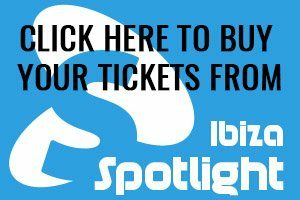 Expect a set littered with their biggest hits, club classics and the latest big room tracks from the band’s Sister Bliss. She is joined by legendary house DJ David Morales and Spanish electro wizard Danny Avila. Appearances from island favourites DJ Oliver, Ben Santiago and Lovely Laura on sax wrap up the Main Room line-up. In Vista Club we are treated to a special back-to-back between Sasha and Kölsch. Their floating, euphoric styles promise to be the perfect combination for the sunrise set. 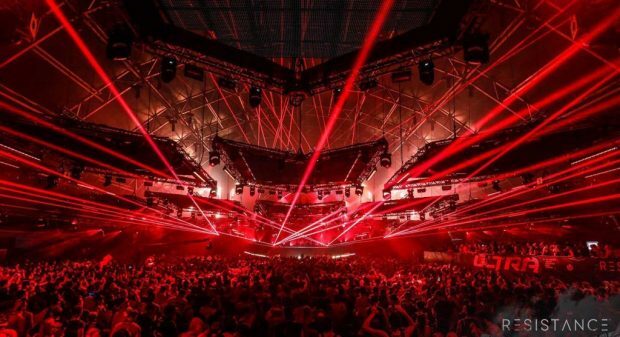 Do Not Sleep’s Darius Syrossian, Guti, Nick Curly and Joshua complete the diverse line-up. Suara Privilege will be a true temple of house and techno this summer on Sunday nights. 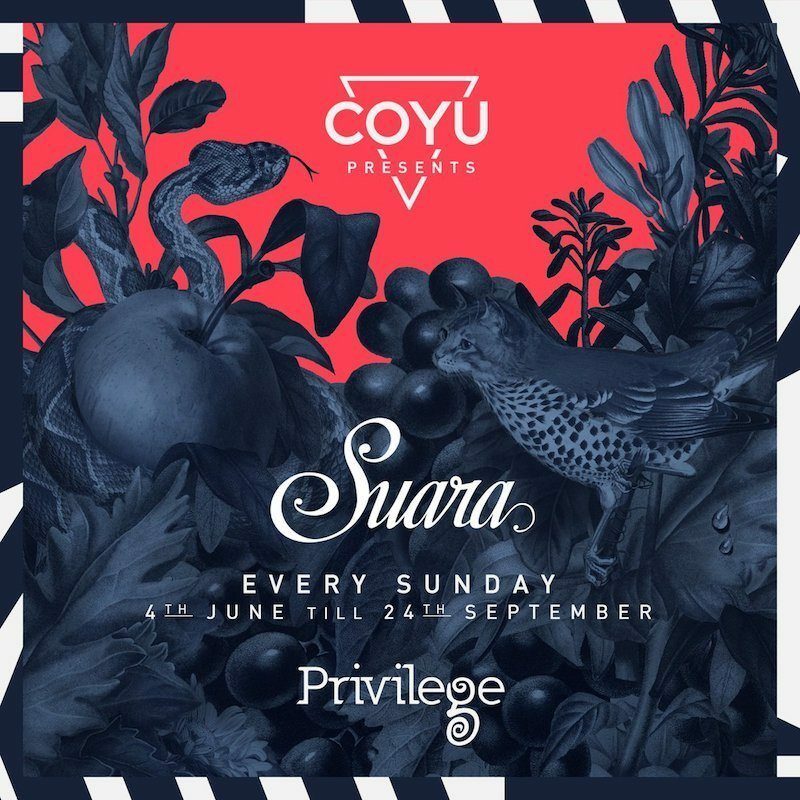 Suara stems from the successful label by the same name started by Coyu in 2008. 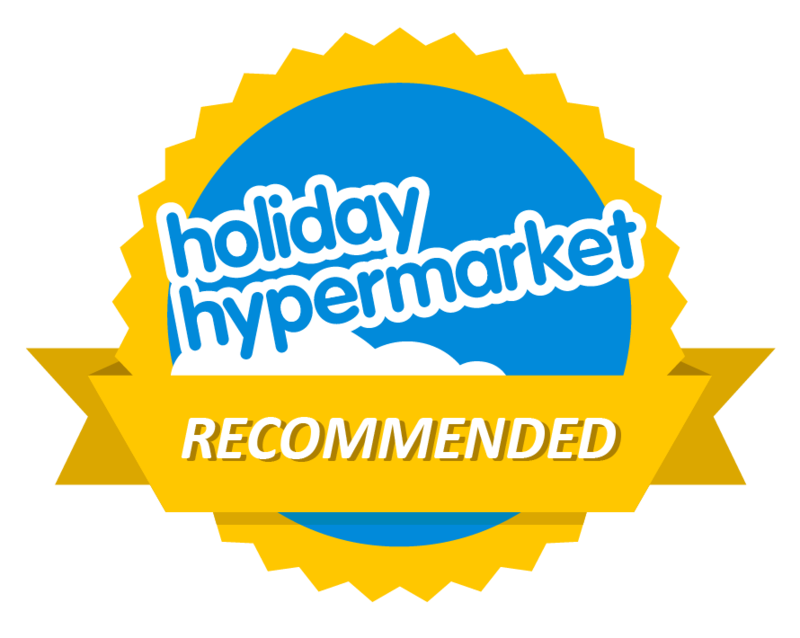 Renowned for great quality dance music, it has gained support by titans of the scene. In 2017 it won Best Record Label of the Year at the DJ Award. After touring globally at the most prominent venues and festivals, Suara lands on Ibiza for 2017. From 4 June to 24 September, the world’s biggest club will turn into the meeting place for lovers of quality dance music. We are promised a mix of eclectic and underground line-ups of both techno and house. Sundays this summer get ready to be amazed as Privilege bursts back into life.